Have you changed your Caravan? There’s often no need to change the awning. We can successfully extend or reduce an awning by up to a metre. You can still use your existing poles, and we do it without distorting the roof or walls. For extensions, we add two darts of material into the roof panel, reversing the process for reductions. This ensures the awning sits correctly on the caravan when installed. All seams are double sewn and sealed, adding strength and ensuring wet weather is kept out. 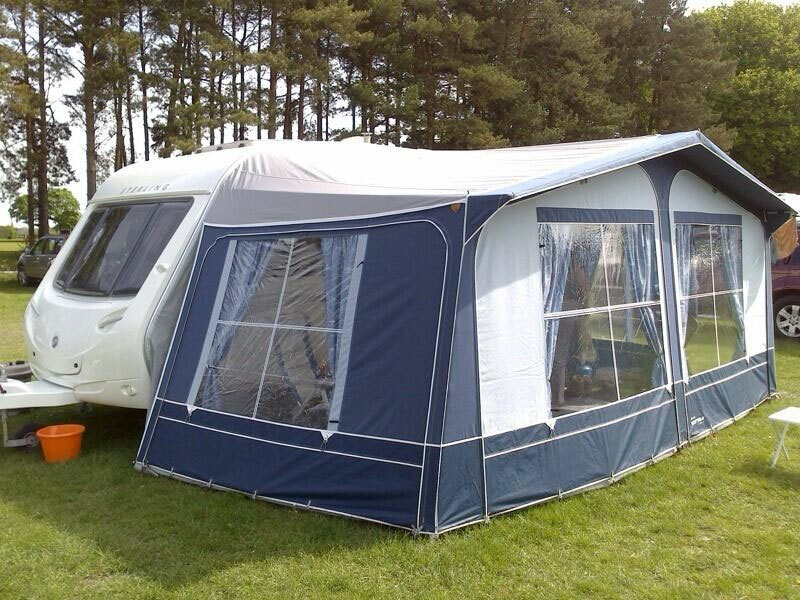 We appreciate a new awning can be quite an investment, so we have developed a system to successfully reduce or extend most awnings to fit an alternative caravan. We have successfully adapted hundreds of awnings over the years and are confident we can advise you on the most appropriate solution for your caravan and awning. It is important to be reminded that the maximum we can extend or reduce the size of an awning is one metre; anything greater than this will cause distortion the awning is unlikely to function properly. If possible, please bring your awning in to our Chesterfield office. Alternatively, you may choose to send this to us by courier. In all cases, please call us first giving brief details of the resizing you’d like. We will assess the work required for your awning alterations. You will then receive a written quote and have the opportunity to discuss the alterations and any other specific requirements you may have. If you’re happy for us to proceed, then we will complete the required work and give you a call once completed. The awning can then be collected from our Chesterfield office or returned to you by (charged) courier. Excellent friendly staff. Resized my awning in a week. I will certainly be using this company again for my awning, thank you for your help.